Now we were going to let this one slide and wait for some fun social media reactions first, but we couldn’t resist reporting on this ASAP. Prince Harry of the British Royal Family appeared alongside Melanie Trump at the Invictus Games in Toronto, Canada a couple of days ago to watch the Paralympic games. Naturally a noble cause, but it was the pose and hand gesture that Harry used alongside Melania Trump which caught most of the attention. Yes, he threw out the Illuminati bull horn hand gesture, presumably just to show allegiance to the Establishment, and to vent some form of visible disapproval/ public message to being against her husband, President Donald J. Trump, who is well aware of the Establishment’s existence, yet also prides himself on doing what’s right for the people. That’s what makes Donald J. Trump great, and that’s what got him elected, because he’s standing up against the Establishment, amidst worldwide crises such as radical Islamic terrorism, which increased as a direct causation of the corrupt Clinton Foundation’s illegal war actions within the crime ridden Obama administration. Not to mention the Arab Spring to boot, which is obviously the work of George Soros. Fact! What possessed Harry to make such a blatant and very childish hand gesture beside Melania Trump? We’ve stated our opinions why, but we’re still baffled as to why he would make it so blatantly obvious. Did he think that nobody else would notice? Anyway, he’s a great guy really, and the Establishment have obviously done some great things throughout history, right? We all make mistakes and can come across as a bit rude sometimes, just like Harry has come across to people right here. Melania Trump naturally also saw this gesture (cringe), but you didn’t see her throw up any bull horns, gang signs, or even rock ‘n’ roll hand gestures, did you? Sometimes subtle class goes a long way, and sometimes the public really are already aware of the tiers of society already in place. The public is also aware of career politicians who cower to the Establishment, as well as Hollywood actors, directors, producers and everybody else. Can’t we all just get along? Don’t the Establishment know that the public already knows a lot about everything these days? Unlike the old days, they can see straight through socialist fake news, smear campaigns, political targeting and other horrible things like like that. The not so secret Establishment are meddling in just about everything, everywhere, and it’s all too plain to see these days, so was Harry’s hand gesture even necessary at this point? It’s no secret where Harry’s allegiance lies, but maybe he should understand that there are a lot of people who support Donald J. Trump and adore Melania Trump for trying to do what’s right for the people of the U.S.A and the world, right now. It shouldn’t all just be about the multi-millionaires, elites, and celebrities out there. Hopefully one day he can see beyond this need to make hand gestures again. After all, Prince Harry is known to be a down to earth kind of guy, and the Royal Family is indeed very great, but one can’t help but think… what did they think of this blatant hand gesture within the family? Who knows? It all comes across as a bit silly from Harry, doesn’t it? It’s almost like some sort of Baphomet Jay-Z Hip-Pop Homage photo starring Melania Trump. Anyway, where are we getting this information from you might ask? Absolutely nowhere, apart from what’s already out in the public consciousness after the rapid change in perception of the world over the last fifteen years or so (i.e: within the age of information being readily available and accessible to us all), but we’re not the only one’s who reacted to this strange photo of Prince Harry gesturing. Let’s take a look at some tweets, shall we? Those were our initial thoughts when we saw the above photo a couple of days ago too. Why so obvious? We get it, Harry, but why? Good question Karen, good question indeed. We suppose only Harry could answer your question. Perhaps, he’ll pop round and comment on this article. Kevin Flynn thinks it’s a call to be rescued perhaps by his Establishment friends or colleagues, but we all know he just came to enjoy the Invictus Games, don’t we? As you can see, everybody pretty much noticed what was going on. 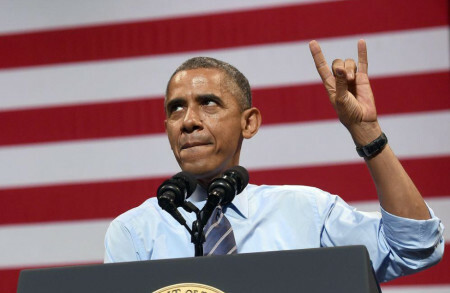 That was pretty much a summary of the general reaction to this Elitist hand gesture with satanic undertones (or is it only rock ‘n’ roll or a gang sign?). We love the Royal Family, and we love nationalism. We love America and England, Europe and the world as a whole. Also love the preserving of our own cultures, something which makes our planet unique, which is something the Establishment needs to understand, as well as Prince Harry too. We need that balance of understanding from all walks of life, but what we don’t need or want is the further Islamisation of Europe through the globalist EU, and through the evils of darker forces. P.S: A little off topic, but it’d be nice if popular music and films had some substance again. Perhaps Hollywood should find some new talent out there. Plus, it would also be good if socialist corruption was eradicated from planet Earth completely… Also, it would be nice if free speech was actually free from PC culture, very far away from burgeoning socialist conditioning and brainwashing by the mass media outlets. One can only dream, right?